BARBIE ARMY | OUT NOW! 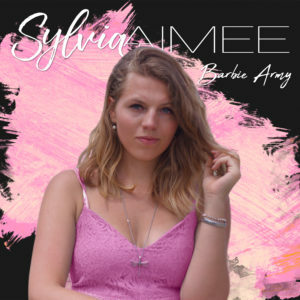 My new single ‘Barbie Army’ is OUT NOW! Watch the official music video on YouTube and listen to ‘Barbie Army’ on your favorite streaming platform. The idea for ‘Barbie Army’ came to me last summer while I was travelling through the US. At the end of every day I found myself going through the photos I had taken that day. I was looking for that one perfect picture to post to my social media and I got really upset, because there was something wrong with me on every single one of them. I looked too fat, too short, too dorky, just not pretty enough. That’s where I stopped myself to reflect on these thoughts. What was I doing? I was privileged enough to be on an amazing trip and instead of enjoying it and living in the moment I caught myself being too busy with trying to look perfect for social media?! Why am I trying so hard to meet a certain beauty standard? Why do I wanna post a seemingly perfect picture? Why is just being me not good enough? I am not a model, I am not perfect, but does that make me any less? What a funny world we live in. We all feel like we have to be, look or act a certain way. Society puts a lot of pressure on us. But what’s the fun in all being the same? It would be plastic, fake, unauthentic, boring, predictable. It would be like an army of barbies. Is that what we really want? I think the answer is no. I think there’s beauty in being different, in being brave enough to stand out, in chasing your own dreams, in swimming against the current. I’m gonna stop trying to fit in, being different is a good thing.